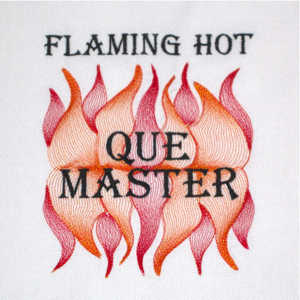 QUE & CUE FILES BOTH INCLUDED!!! 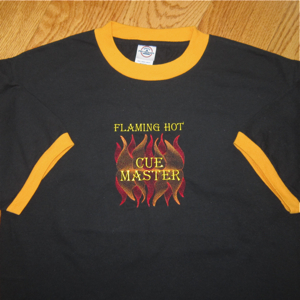 Hot design for the king of the Que !!! 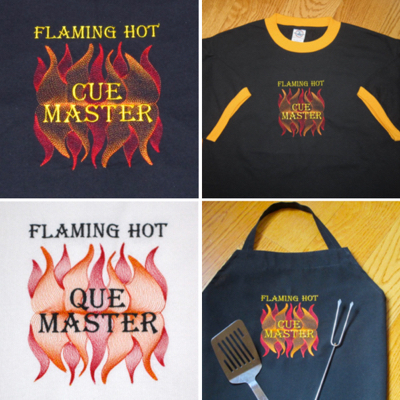 This flaming hot design is perfect for your He-Man griller! 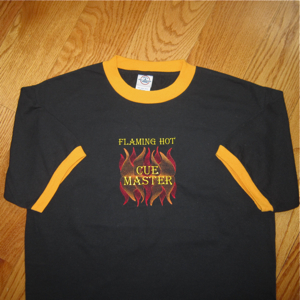 A sheer contoured flame design that your guy will be proud to wear! 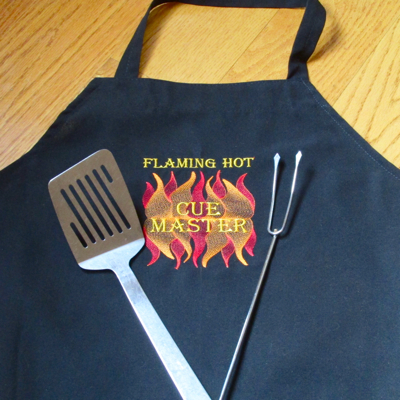 Great for that casual tee on cook out day & perfect for that masculine apron! Not too corny for the "tailored" man ~ and appealing to that male ego ~ a just right combo! 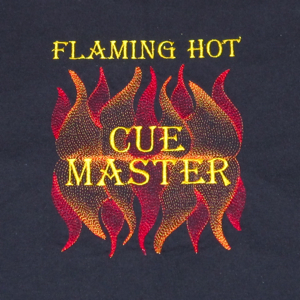 If you've always had a hard time finding an embroidery design your guy will actually wear then this is the design for you! Tell your guy he's still HOT!!! Supplier of great embroidery blanks!